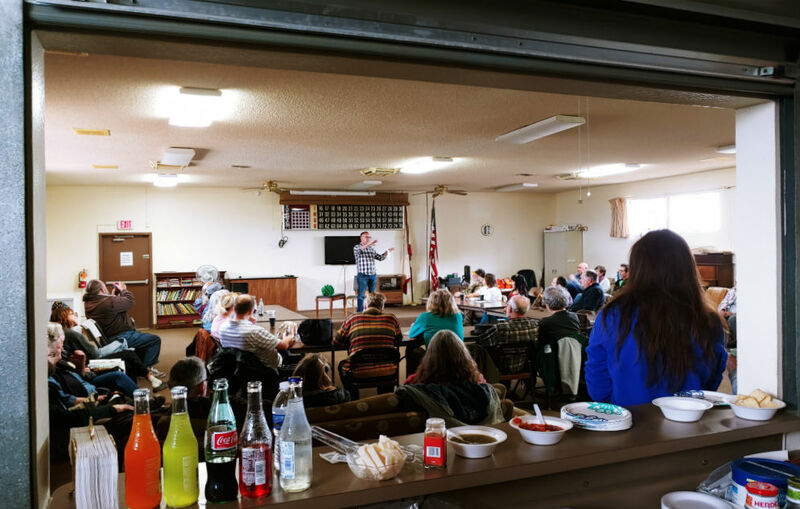 The Friends of Wonder Vallley was pleased to host local author Bill Hillyard last Saturday, February 2, at the Wonder Valley Community Center. 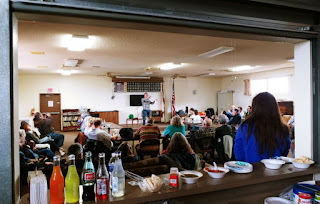 50-60 people crowded the WVCC to hear Bill read from his book, Welcome to Wonder Valley -- featuring stories of many of the people who have lived, or are still living in Wonder Valley. Bill detailed his efforts to get the book published, and why he has, in the end, decided to self publish. He has started an Indieagogo account to raise the $3500 necessary to publish the book himself. He has 30 days to raise the money, and has already raised $600. There are some awfully nice premiums available at various rates of contriubtion. The Friends of Wonder Valley was able to raise needed funds by asking for a $2 per person donation at the door. The donations are earmarked to help with copayments for the Mobile Medical Unit that the Morongo Basin Healthcare District will be bringing to the WVCC later in the month. Thank you to everyone who donated at the door. Thanks to Steve and Cheri Reyes for contributing the refreshments, which were free to everyone. We offered Mexican coke, various Jarritos, chips and salsa, and jicama and chili powder.